After working with a variety of international and local advertising agencies in Puerto Rico, Eileen Riestra established DYASTUDIO with the intention of creating a firm that would primarily center on design and visual communications. In 2014, Eileen established Depict Brands, the sister company of DYASTUDIO, in Boston, MA. Depict Brands focuses on branding development and offers a wide array of design related services that cater to the American and Hispanic Market. Ms. Riestra has a B.F.A. Degree in graphic design from The New England School of Art and Design at Suffolk University in Boston, Massachusetts. In 2012 she obtained a certificate in Executive Education from Yale University’s School of Management. Ms. Riestra also took a Master Designer intensive workshop with world-renowned design leader Massimo Vignelli at the Vignelli Center for Design Studies at Rochester Institute of Technology. She treasures Vignelli’s design principles, and has proceeded to implement them in all her projects to this date. 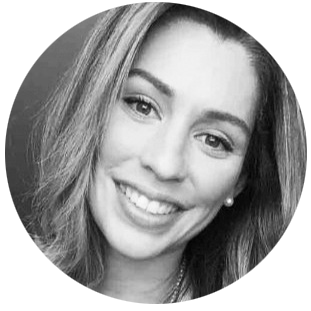 Jessica Meléndez is a trilingual marketing and advertising professional with thirteen years of brand management experience in the U.S. and Puerto Rico. She has managed global brands such McDonalds, BMW & Mini Cooper, Starbucks Coffee, Pepsi, and Unilever. She has experience in building strategies, managing holistic productions and media planning. She has led the development and execution of several multi-platform campaigns. Jessica has worked on above and below the line campaigns for General, Asian, African America and Hispanic Markets in U.S. and Puerto Rico. Jessica holds a BA in Communication from Sacred Heart in San Juan, Puerto Rico, with a major in Advertising and minor in Marketing. She has a M.B.A. Certificate in Marketing from University of Dallas, Texas. Born and raised in Puerto Rico, Nicole earned her BBA in Marketing from the University of Miami in Coral Gables, Florida. She went on to pursue a Masters Degree in Elementary Education and work for a grant from the Department of Education in Florida. She worked for the City of Longwood in Florida and has an understanding of government work. After moving to Colorado, she worked pro-bono for several non profits while taking time off from the 9-5. Now she spends time researching, copywriting and farming. Madeline is a Graphic & Web Designer with over 6 years of experience. From identity suites, marketing collateral, and large format printing to comprehensive digital campaigns and WordPress web design, Madeline is a true visual storyteller. Born and raised in Philadelphia, Madeline moved to Boston and immediately fell in love with the city’s thriving design community and innovative culture. After working at companies such as WriteBoston, Faneuil Hall Marketplace and Entercom Communications she launched her own consulting business. She currently freelances for clients in all sectors, ranging from city organizations, hospitality professionals and real estate developers to non-profits and small businesses. In her space time Madeline enjoys traveling, photography and staying active in her community. Marianthi studied Production and Management Engineering at Democritus University of Thrace and earned her Master's Degree in Strategic Product Design from International Hellenic University. During her time there, she studied graphic design, social media marketing and social psychology. After working as a graphic designer and social media manager at several Greek creative agencies, she started working as a freelancer. Today, she is the Graphic Design and Social Media Director for e.l.f. Cosmetics Company in Bangladesh and she is also working as a graphic designer and social media manager for several companies all over the world. After earning his B-Tech Degree in Computer Science Engineering from Punjab Technical University Jalandhar, Punjab, Harinder worked as a developer at Baseline IT Development PVT LTD in Mohali. Following his time at Baseline IT, Harinder started working as a freelancer and continues to do so today. He has completed over 250 projects in WordPress and Squarespace, among other platforms. Carolina is an Online Marketing Professional with 7 years of experience. She has worked at an International Agency and as a freelancer for over 6 years helping multiple brands and businesses maintain and grow their online presence and acquire new customers. Carolina is a Certified Google Adwords Professional and has a Certification on Online Marketing expedited by the International Advertising Bureau in Spain. Mindy's leadership and success in the Hospitality Industry for the past 16 years has enabled her to take this journey with Depict Brands and its sister company, DYA Studio. Incorporating creativity for the success of others is one of her biggest assets. She works closely with her clients to ensure all their needs are met and their expectations are exceeded. Everyone that works with her knows how professional and passionate she is about her work. Mindy has a Bachelors Degree in Business Management & Marketing from the University of Phoenix. Stacey is a graphic designer based out of New York City and Toronto. She completed her AAS in Graphic Design at Parsons School of Design. She has executed branding, website and mobile app projects in her freelance work and loves publication design and bookbinding. Stacey has a Bachelor’s Degree in City Studies and Physical & Human Geography and has worked 4+ years in healthcare. She also has 3+ years experience in Event and Wedding Coordination. During her free time, Stacey loves to travel and experience different cultures to gather inspiration.